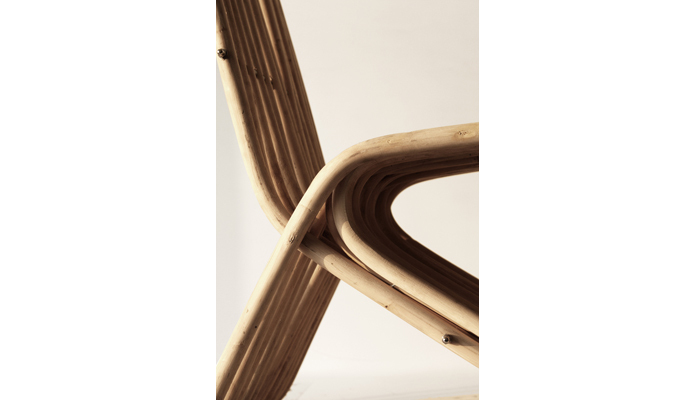 Loop is an experimentation with the flexible properties of the rattan. Rattan ( khayzaran in arabic) can gather strength by bending and grouping several stems together. Instead of the traditional assembly of bending orthogonally and knotting, we propose to bend and connect each stem diagonally, to create a chair in one continuous loop.